Internat Energy Solutions Canada (IESC) is an independent engineering consulting company dedicated to the creation of a more sustainable economy, government and society. The organization’s mission is to help governments, business and individual households create more wealth and employment, protect and enhance human and natural capital, and to increase profit and competitive advantage through the application of sustainable design, energy efficiency and renewable energy principles. IESC has contributed to the development of the REFOCUS’ vision and guidebook, in addition to fostering our partnership with ADEME, described below. ADEME (Agence de L’Environnement et de la Maitrise de L’Energie) is France’s agency of environment and energy management. The organization is jointly supervised by the Ministry of Ecology, Sustainable Development & Energy, and the Ministry of National Education, Higher Education & Research. To enable these ministries to advance environmental practices and energy use, ADEME delivers expertise and advisory services to businesses, local governments, public authorities and the general public. It also helps to finance projects, from research to implementation, in the following areas: waste management, soil preservation, energy efficiency and renewable energy, air quality and noise pollution. ADEME has supported REFOCUS by contributing its internationally renowned carbon management expertise and helping to generously fund our development efforts. The Ontario Trillium Foundation (OTF) is an agency of the Government of Ontario, and Canada’s largest granting foundation. Over $110 million is awarded annually to some 1,300 nonprofit and charitable organizations across the province. The mission of the Ontario Trillium Foundation is to build healthy and vibrant communities throughout Ontario by strengthening the capacity of the voluntary sector, through investments in community-based initiatives. The Ontario Trillium Foundation has generously supported REFOCUS with two grants: One that originally helped Harbourfront Centre get its sustainability program and vision of building a replicable model off the ground and the other that provided capacity for us to develop Re and its educational capacity. The Centre for Sustainable Staging in the School of the Arts, Media, Performance and Design at York University brings together learning, applied research, and industry partners at the forefront of sustainability in performance and exhibition. The School of the Arts, Media, Performance and Design at York University is one of North America’s premier schools for the visual, performing and digital arts. At York, our vision is that sustainability research generates knowledge that integrates the social, cultural, economic and environmental dimensions of complex challenges at scales ranging from local to global. This interdisciplinary approach emphasizes creativity and collaboration in order to advance research, action and innovation in social, economic and environmental justice. The Centre for Sustainable Staging at York University has performed independent research support to ensure the REFOCUS guidebook and e-Library of Resources reflects the most current knowledge related to the study of sustainable development. MaRS Discovery District (@MaRSDD) is a mission-driven innovation centre located in Toronto. MaRS works with partners to catalyze, accelerate and amplify innovation. MaRS supports entrepreneurs building Canada’s next generation of growth companies. 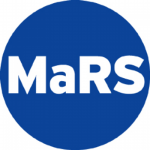 MaRS’ ventures have created over 6,500 jobs and, in the last three years alone, they have raised over $1 billion in capital and earned over $500 million in revenue. REFOCUS is being incubated by MaRS and has taken advantage of their Venture Services offered as part of establishing a sound business model and plan to support the launch of our organization.